If you snoozed through Black Friday, you still have tons of great deals coming your way. Attention all ye deals lovers: were you in a 24-hour tryptophan slumber through Macy's Black Friday sale? Fear not! There are amazing deals to be had *now*! That's right, Cyber Monday deals are HERE at Macy's! 1. 41% off a KitchenAid Artisan five-quart stand mixer, because this is a great deal on a cult-fave tool you'll eventually hand down to your kids... or grandkids. There are a bunch of different KitchenAid mixers and attachments on sale right now — check out the full selection to snag yours! 2. 50% off a Free People slouchy ribbed turtleneck you'll want to wear seven days a week. 3. 72% off a three-piece hardside spinner luggage set, because you do *not* want your things crushed by the time you finally land after two layovers. 4. Buy one pair of American Rag boots, get the second pair free. Price: $69.50 (available in sizes 5–12 and nine colors). Check out the full selection of buy one, get one boots here! 5. 62% off a Bluetooth karaoke microphone that'll really get the party started after you whip out the boozy eggnog. All of the controls are right on the microphone, including an ~echo-enhancing~ feature. 6. Up to 50% off matching onesies for the whole family (yes, including your four-legged fam). 7. 65% off a cast iron skillet from BuzzFeed's Goodful collection so you can make that s'mores dip recipe you've been eyeing. 8. 60% off cozy plush throws so you can deck out your whole house in comfort. Take an extra 20% off with promo code CYBER. 9. 48% off a 14K gold and diamond chain (it has seven half-carat round-cut diamonds spaced out along the strand) for a classic piece you'll never ever take off. 10. 54% off an Instant Pot so you can finally see what all the hype is about (and slow cook, pressure cook, make rice or yogurt, keep food warm and MORE). 11. 40% off a pair of stylish, fleece-lined touchscreen gloves, because it's 2018, and you should be able to text without getting frostbite. These have Thinsulate to keep your fingers warm without feeling constrained or stiff, plus ~SmartDri~ technology, meaning that water (looking at you, WINTERY MIX) just rolls right off. 12. 50% off a countertop Aerogarden from BuzzFeed's Goodful collection so you can grow all the herbs you want (no backyard required). 13. 25% off a pair of bow-back Ugg boots, because staying warm and looking cute aren't mutually exclusive. Price: $127.50 (originally $170; available in sizes 5–11 and in black). 14. 53% off a Dyson Ball vacuum with a built-in extension wand, plus tools for cleaning everything from your mattress to the stairs. Oh, and it self-rights if it topples over, too. 15. 40% off an FAO Schwartz piano mat for reenacting that iconic scene from Big. Check out all the deals on FAO Schwartz toys here! 16. 50% off a set of non-slip stainless steel mixing bowls from BuzzFeed's Goodful collection so you can cut down on kitchen messes in 2019. 17. 60% off a just-dressy-enough overcoat with toasty quilting and water- and wind-resistant fabric. 18. 50% off a kettle from BuzzFeed's Goodful collection so pretty, you'll want to keep it on display. 19. 50% off a pair of foldable wireless headphones perfect for popping in your bag and traveling with. Charge 'em up and they'll play for six hours' of listening time. 20. 50% off a digital food scale from BuzzFeed's Goodful collection for accurate measurements, plus a conversion chart printed right on top. 21. 40% off a set of Martha Stewart melamine storage containers that'll basically *beg* you to bake some Christmas cookies and share 'em with your loved ones. 22. 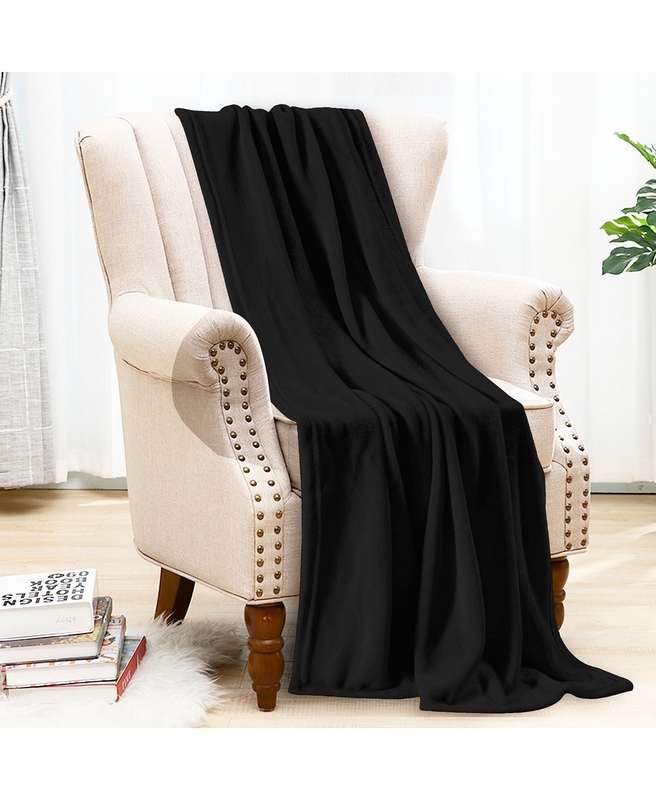 40% off a fleece blanket cape with leopard faux fur trim, because adding a little drama to your wardrobe (at a bargain!) is a great thing. 23. 50% off a Black & Decker air frying toaster oven for an all-in-one device that'll bake, reheat (without turning anything soggy), toast, and fry (with little or no oil). No wasted counter space here. 24. 30% off a compact crossbody with zippered sections to keep everything safe and secure (and so it's actually easy to find what you're looking for). 25. 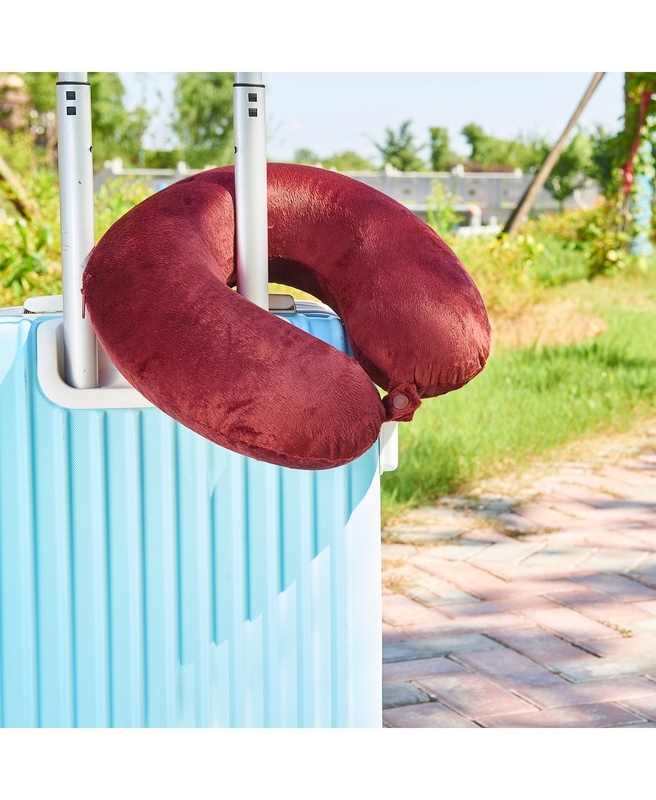 75% off a memory foam travel pillow and plush blanket set for anyone with a serious case of wanderlust. Now the last row in coach'll feel like first class. 26. 74% off a pearl-embellished balloon-sleeve sweater to make holiday party dressing a breeze. 27. 80% off a tufted storage ottoman for a touch of beautiful design that'll *also* keep your extra blanket neatly tucked away. 28. 66% off a pair of Style & Co mid-rise skinny jeans you're gonna want to wear at least four times a week. 29. 50% off a 10-piece cookware set from BuzzFeed's Goodful collection to fully outfit your kitchen with just one purchase. 30. 50% off temperature-regulating pillows from BuzzFeed's Goodful collection. Enter promo code BLKFRI at checkout. Check out all the Cyber Monday deals at Macy's!